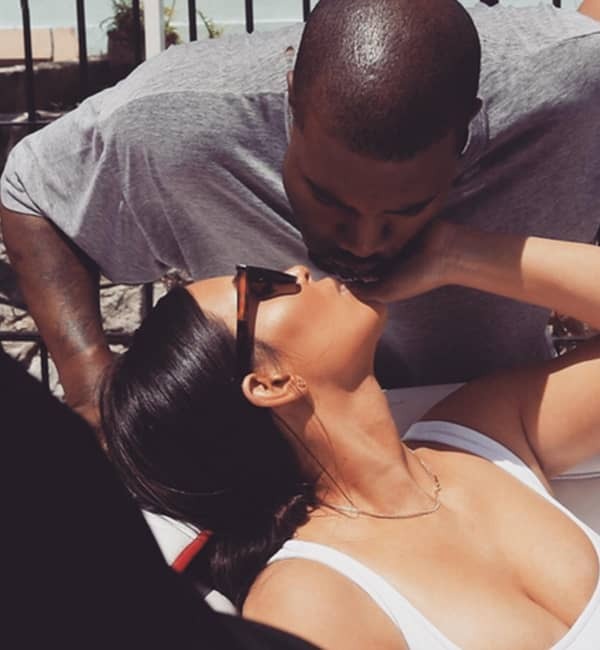 Kim Kardashian shows off incredible post-baby curves in swimsuit selfie | HELLO! Kim Kardashian has worked hard to shift her baby weight – and she’s clearly proud of her new figure. Taking to Instagram, the reality TV star shared a saucy snap of herself in a very high-cut swimsuit. The swimsuit was emblazoned with ‘Pablo’, a nod to husband Kanye West’s current album, and showed off her incredible curves. “Wife of Pablo,” Kim captioned the snap. The tribute post came just days after Kim wished Kanye a happy birthday with a touching message on Twitter. “Happy birthday to my best friend!” she wrote. “I usually would be scared for us to get older, but as each year passes, I’m just happy we have more time on this Earth together! The 35-year-old accompanied the post with a collage of moments between the couple and their daughter, North West, before sharing the same message on Instagram accompanied with a snap of herself kissing the rapper. Kim's family were quick to wish Kanye many happy returns, and Kris Jenner posted a photo of Kanye on Instagram, writing: "Happy birthday to my son, North and Saint’s daddy and Kim’s soul mate, #KanyeWest. To say you are special is an understatement… you are one of a kind!!!!" "You inspire, you lead, you’re the most incredible father and a wonderful friend. We are so blessed to have you in our lives!!! I'm so proud of you and I love you so much. Happy birthday!!!! #love #family #blessed #proudmama #happybirthdaykanye." Kim's sisters Kourtney and Khloe also sent birthday wishes to the Yeezy shoe designer on their websites, with Kourtney writing: "Happy Birthday Kanye! Wishing you a year of many more adventures, all of which I can tag along – as always. Long live Yeezus," while Khloe wrote: "Happy birthday to one of the most creative and intelligent people I know!!! Kanye, I couldn't have picked a better husband for my big sister and I am so happy that you're in our lives!"